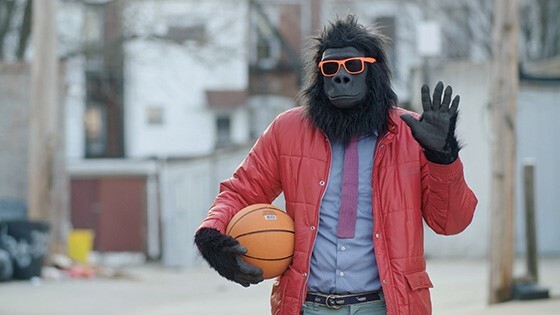 SYLVIO is the story of a small-town gorilla who is stuck in his job at a debt-collection agency. Deep down, he just wants to express himself with his hand puppet, Herbert Herpels, and his experimental puppet show highlighting the quiet moments of life. When he accidentally joins a local TV program, a series of on-air mishaps threaten to shatter his identity, sending him on an adventure of self-discovery in which reality and fantasy start to blend. Albert Birney (FUNNY BUNNY, IFFBoston 2015) and Kentucker Audley (THE SACRAMENT, IFFBoston 2014) write, directed, and star alongside Sylvio himself.